Exercise is NOT recommended 24 hours before or after scuba diving making it challenging for divers to both dive and exercise during traditional two-day weekends. The three-day Labor Day weekend however affords divers an opportunity to dive several times and still enjoy a scuba fitness workout. Long weekends also provide opportunities for extended exercise sessions, family fitness and fitness as part of outdoor recreation. While scuba diving itself is not a workout, activities on or near the water that may be interesting to divers include stand-up paddle boarding, surfing, kayaking, cycling, beach walking and hiking. Many of our local lagoons are undiscovered playgrounds for the entire family. The Aqua Hedionda Lagoon in the City of Carlsbad, the location of the North Coast YMCA Aquatic Park, even allows swimming and boating. All vessels require day or annual use permits, so plan in advance. The Batiquitos Lagoon Foundation is hosting its 7th Annual Lagoon Clean Up in October. The clean up offers participants a two-hour kayak tour of the area. Buena Vista Lagoon is a favorite of fisherman. All the lagoons offer amazing opportunities for bird watchers and naturalists. Once of the best forms of outdoor exercise for scuba divers is walking on the beach. 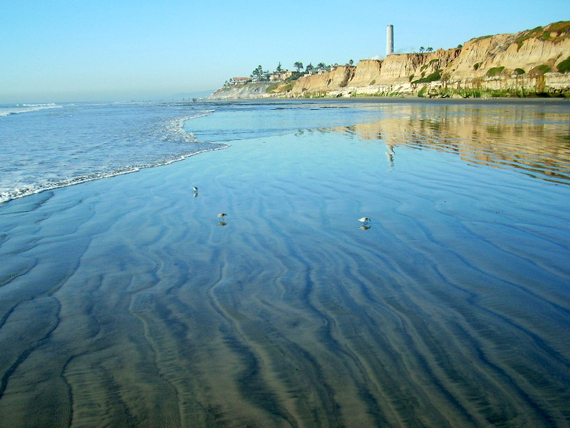 South Carlsbad State Beach offers a 3.9 mile stretch of beach with moderate terrain for most ages and abilities. Depending on the diver’s fitness level, the sand and surf, set a pace of between 12 and 20-minutes per mile. Check the tides before heading out. Low tides for Labor Day are extremely low in the early morning and evening. Early-to-mid morning and mid-to-late afternoon appear to be the best times for walking this weekend. Remember to use sun protection, wear comfortable clothes and athletic shoes, and bring a small snack and water. Enjoy the long weekend.